Employers implement payroll systems and hire payroll staff to ensure that employees are paid in a timely and accurate manner. The process of payroll involves more than paying employees, as certain guidelines and procedures must be followed. Hourly employees are paid based on hours worked, and salaried employees are paid a set amount each pay period. 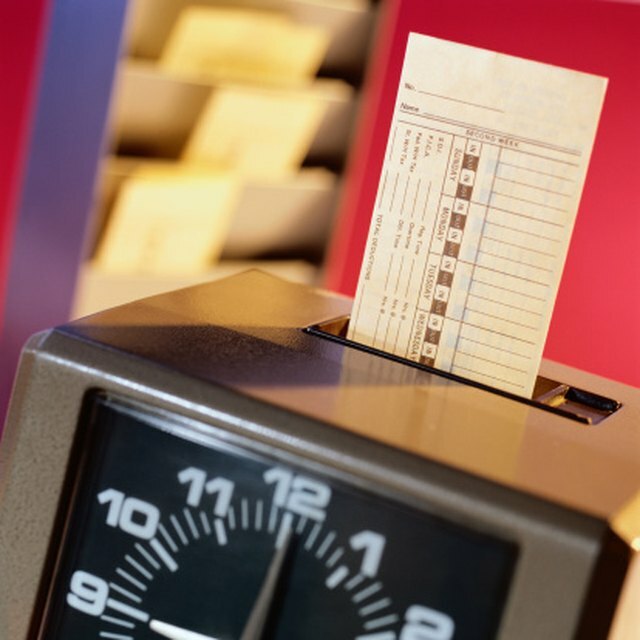 For hourly employees, time sheets are usually submitted, stating precisely what hours the employee should be paid for. Employee deductions include tax deductions, such as FICA (social security and Medicare), federal and state. They can also include 401k, health (medical and dental) and cafeteria plan (dependent care) deductions. Employers are required to pay state (SUTA) and federal (FUTA) unemployment taxes. They are also required to file quarterly (941s) taxes with the IRS and with the Department of Labor. What are the Steps in Processing a Basic Payroll? Most payrolls occur weekly, biweekly, semi-monthly or monthly. Companies that pay commission or hire contractors may pay these wages separately, outside of the normal payroll run. Depending on the company's size, the payroll staff may include one or more payroll clerks, payroll assistants, payroll specialists, payroll managers and payroll directors. They are responsible for the complete payroll processing and responding to employees' inquiries regarding the payroll.